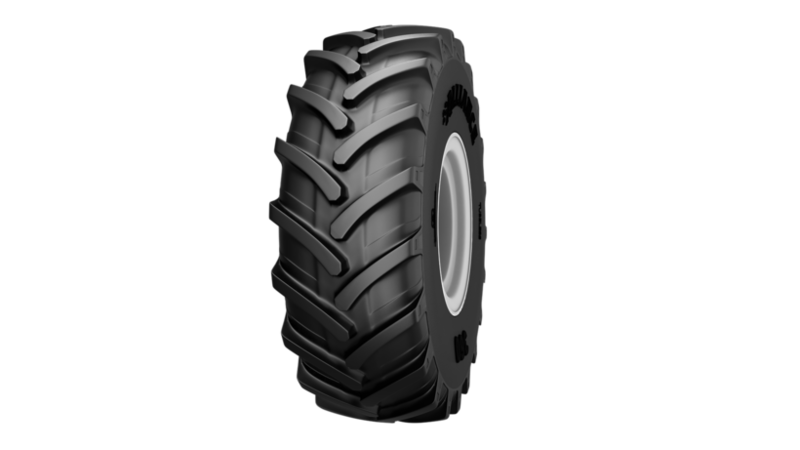 Alliance 360 is an extra wide agricultural tractor drive radial tire for harvester applications. Alliance 360 is an extra wide agricultural tractor drive radial tire for harvester applications. It is characterized by increased load capacity for the same inflation pressure. Low inflation pressure combined with large footprint reduces soil compaction. A special stubble guard tread rubber compound contributes to long and efficient work on harvesters. The tire traction efficiency is increased by an effective traction/slip characteristic. Low angled lugs at the shoulder area improve traction, while higher angles around the tire center line improve ride comfort. Strong radial construction with reinforced beads and sidewalls provide long tire life.